Seminarians in Archpriest Alexander Rentel’s class,“Contemporary Issues in Canon Law, at St. Vladimir’s Seminary. 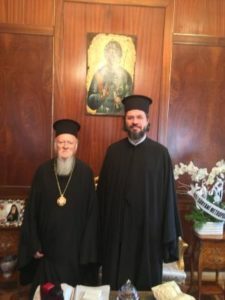 [SVOTS Communications / CONSTANTINOPLE] In the spring of 2018,SVOTS Seminarians engaged in a remarkable undertaking, engaging with representatives of churches that both did and did not participate in the divisive Holy and Great Council of the Orthodox Church in 2016, often referred to as the “Council of Crete.” Now, the fruits of these seminarians’ unique venture are in the hands of the Ecumenical Patriarch, His All-Holiness Bartholomew. At the Ecumenical Patriarchate in Constantinople on Tuesday, May 22, with the blessing of His Beatitude Metropolitan Tikhon, and with the support of Seminary President Archpriest Chad Hatfield, Archpriest Alexander Rentelpersonally delivered the Appeal on the Future of Pan-Orthodox Activity,drafted by seminarians of his elective class, CL342, “Contemporary Issues in Canon Law.” During the course of the meeting, His All-Holiness talked with Father Alexander about the Council in Crete and issues facing world Orthodoxy. The Appeal goes on to address concerns and suggestions in the aftermath of the council. Fr. Alexander’s Canon Law students drafted its content after considerable effort and study over the course of the semester. Much planning went into the structure and content of Fr. Alexander’s class in order to prepare his students to carry out such an effort as well as to impart important perspectives to them through the course. The class began with lectures providing an overview of canonical tradition (methodology, sources, and the history). The class then shifted to a seminar format to discuss the theological underpinnings of the conciliar movement, its history, and the Council in Crete. Special attention was paid to the Council in Crete, its decisions, and message. The course also incorporated a number of guest speakers who had expertise on particular aspects relating to the subject of the course. Prior to the beginning of the class, Fr. Alexander interviewed His Eminence Metropolitan Hilarion (Alfeyev) of the Patriarchate of Moscow. During the class, His Eminence Metropolitan Gabriel of the Church of Greece participated via Skype and spoke to the class about the document from Crete on autonomy. St. Vladimir’s Seminary Professor Priest Anthony Roeber also spoke to the class on the Council in Crete from the perspective of the Antiochian Patriarchate and what the view of the Council was from a parochial level. 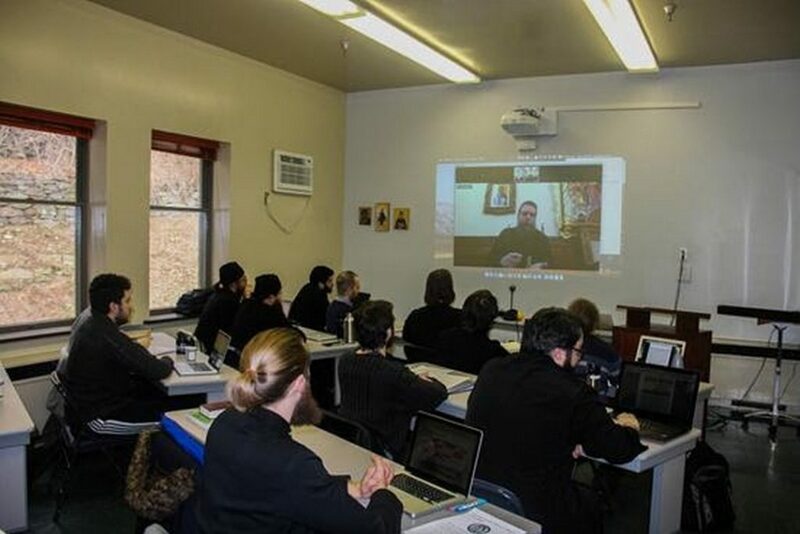 Likewise, Priest Hyacinthe Destivelle, O.P., of the Pontifical Council for Promoting Christian Unity participated in the class via Internet to discuss his book, The Moscow Council (1917–1918). “The class, in other words, heard a wide perspective of thought on the Council,” added Fr. Alexander. The students’ efforts culminated fittingly with the delivery of the Appeal to the Ecumenical Patriarch after the conclusion of the semester. Fr. Alexander is thankful that his vision and planning for the Canon Law course has led to such a unique and fruitful experience for his students, many of whom graduated in the Class of 2018 and all of whom will undoubtedly carry this experience with them in their varying work for the Church after seminary. 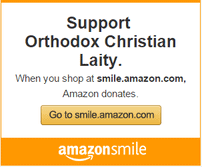 Orthodoxy Live: Listen as Fr. Alexander Rentel discusses the Canon Law Class’ experience and other topics on Ancient Faith Radio. Funding for one guest lecturer in this course, Protopresbyter Nicolas Kazarian, was provided by the Ganister Orthodox Foundation Fund. Read a paper by Fr. 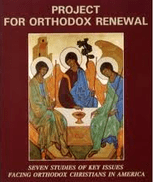 Nicolas, titled, “The Crisis of Orthodox Multilateralsim: A Challenge for Pan-Orthodox Conciliarity “in the forum blog,” Public Orthodoxy,” here. Hope your voice will efect Turkey !!! We are suffering so much as Turkish converted orthodox !! We do not have a native language church here.. The Archbishop allows only once a week of the month for Turkish service.. No plantation no sharing the gospel no sermons no publications no ministry in Turkish.. Just feeding ourselves with the protestant books, tv stations, youtube sermons which are all in Turkish … Here all are in Greek language seems the Lord knows only Greek .. what a pity !!!! What a LUCKY you are … Hope one day you will be the light in Turkey my valuable USA priests …. May Lord make you his light to those around you…..